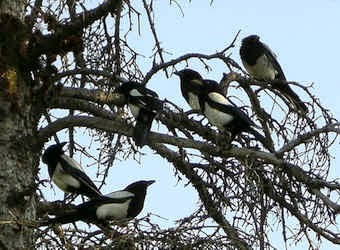 Over the last several 7-10 years, I've noticed a tremendous increase in the populations of vultures, ravens, magpies, and starlings in my small Northern Utah town. These are scavenger birds, carrying disease and driving other birds away. 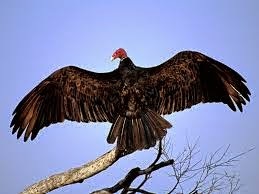 They make unpleasant noises when they fly and communicate with one another. They are highly intelligent and work in groups or flocks, calling to one another about food and danger. They tear up our garden and harass our farm animals. Not only are these birds unattractive and a general nuisance, but they are also dangerous to the delicate balance of life in our ecosystem because of the diseases they carry that can spread to other birds and mammals. We don't have many eagles where we live, but there are hawks, owls, and doves. 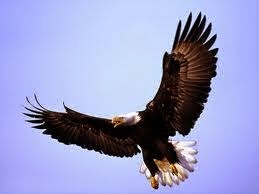 An occasional eagle will be spotted high in the sky above the mountain range or very rarely along the freeway. It is a beautiful and awe-provoking sight. Hawks and owls are also rare, but I've seen more of them this year than in previous years. A magnificent red tailed hawk spent several days in some of the trees along our property a few weeks ago. 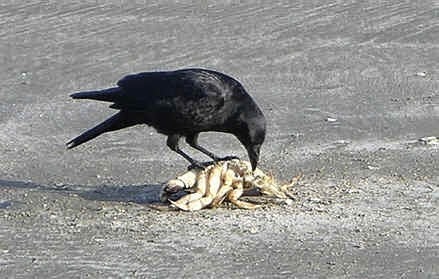 For a time, groups of ravens would try to taunt him while he perched, and harass him when he'd fly. He seemed totally unfazed and behaved as if they did not exist. Eventually, all the other troublesome birds seemed to disappear while he was in residence. 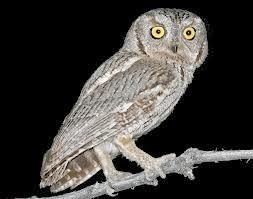 Last Fall, the owls returned and I could find them perched at night and calling quietly to each other in the darkness of night. More doves this year than ever before as well, particularly in the morning. A sign of peace. 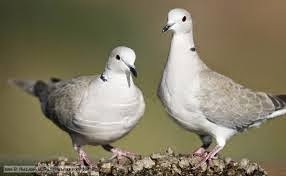 I observe these types of birds as mostly being alone, not part of a group, and are silent and graceful...although they sometimes come in pairs, especially the doves. They make pleasant sounds or none at all. The fly almost effortlessly, and quietly. They do not eat waste or carrion. 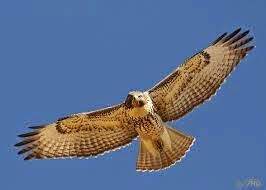 From afar, it can sometimes be difficult to distinguish a hawk from a raven or a dove from something like a pigeon. Silhouetted against the sky, their head and body shapes are similar. You could say one species might have an opposite in the other species...counterfeits. You can distinguish them in several ways...by their sounds, what they consume, how they hold their heads, whether they are alone or not. Especially as you get closer you can tell. I grew up in a home where birds were studied and appreciated. We learned how to identify various species. Birds have deep meaning to me. They represent something beyond this world, something unseen. I hope that the return of these birds of prey and the doves is a trend beyond my own little yard and hometown. If so, I wonder what it means? I welcome their increased presence as it gives me hope. 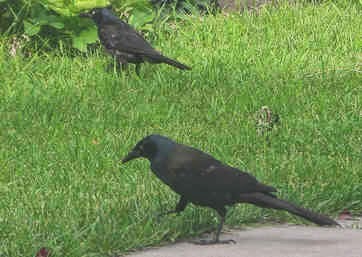 I've learned much about myself and my spiritual path in life by watching the birds. 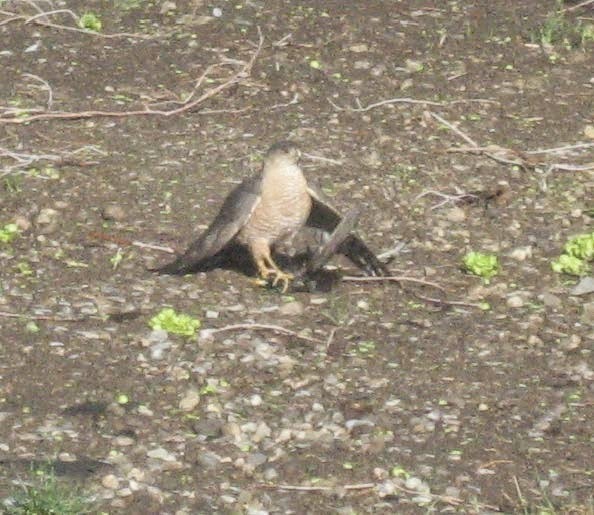 UPDATE 4/23/2014: This morning a small hawk took down a starling in our backyard, in the orchard. The photo is grainy, but it shows who the victor was. Things are happening indeed.